Sustainability is more than a catch-phrase for Partner, EnergyWare, it’s our MO! LED Technology makes your business more sustainable from an energy perspective, and better yet, from a basic accounting perspective, it simply makes sense! From improved focus at the workplace to an increased sense of security in the community, the countless benefits of LED technology permeates all facets of life. Audicon is an authorized partner for EnergyWare. We conduct a professional onsite assessment, at no charge to you, of your current infrastructure and lighting assets. We use this assessment to recommend the absolute best and most acute LED solutions for your business. The benefits of LED go far beyond the simple brightness of the bulb. There are countless ways in which LED technology improves the quality of work and life at your place of business and the community. We provide LED light installation services for clean and cost-effective lighting solutions! Audicon partners with a EnergyWareLED Installations who is one of the most experienced and respected energy efficiency firms in the USA. 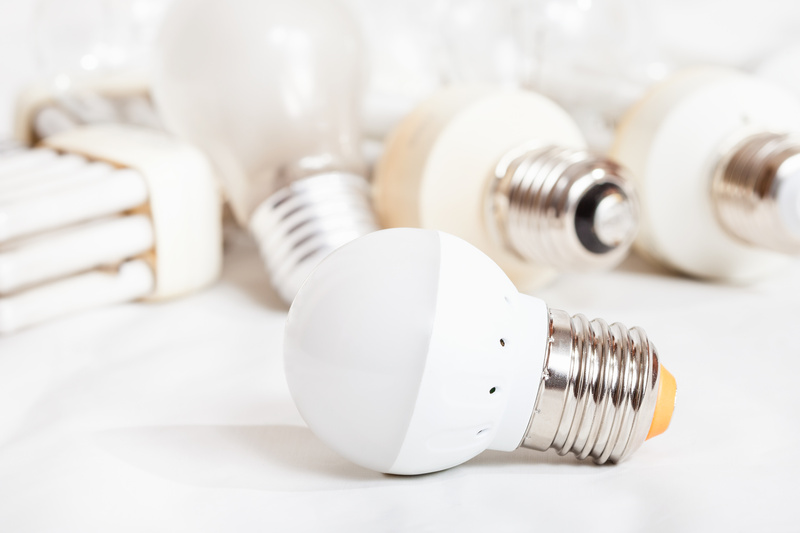 With LEDs, typically 75% of your lighting expense will be eliminated. LED’s will also qualify you for local rebates. LED bulbs have a lifespan of up to 50 years whereas others last only 1.2 years. LED can increase your illumination up to 100%, resulting in a better display for product, customer, and safety. LED’s convert on average, 50% of energy into light, in comparison to incandescent at a tiny 4%. This means that 96% of your electricity goes to heating the bulb, resulting in higher energy costs, a shorter life due to heat degradation and higher HVAC costs to keep your facilities cool.